Height 26cm : Length 30cm. 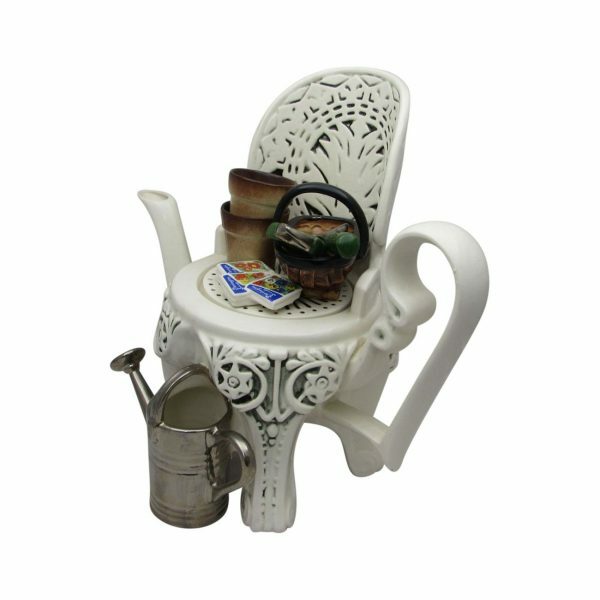 Garden Chair Teapot. 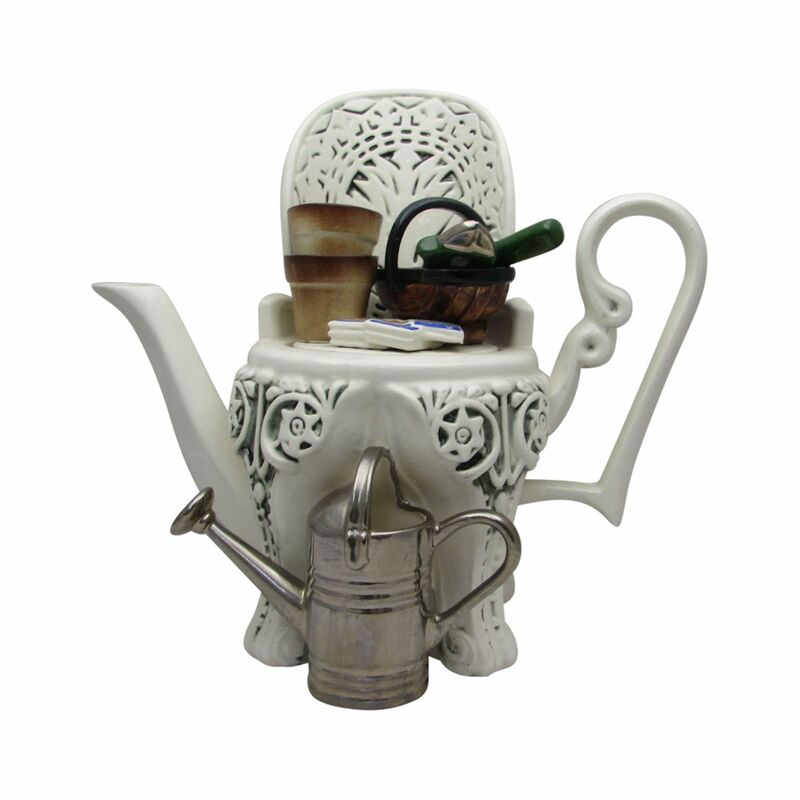 Designed by Richard Parrington. Hand Made. Then Hand Painted. Using traditional production methods. It takes 5 – 6 days to complete the production process. 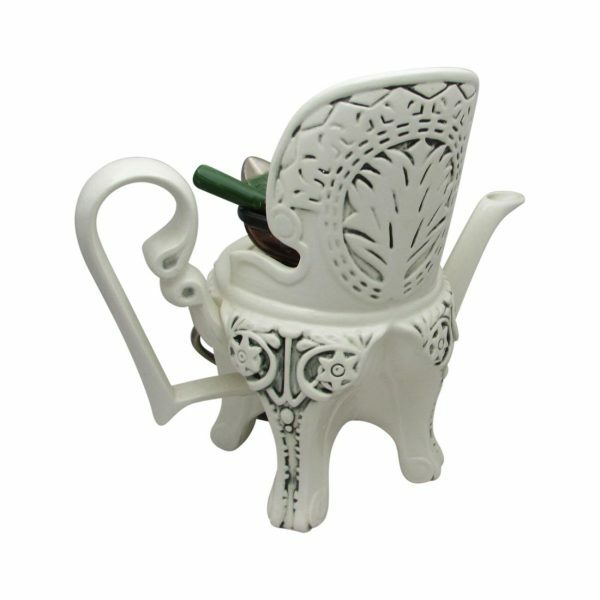 It is in the shape of a tradional garden chair. A trug with a garden trowel in it is placed on the seat. Along side some plant pots. 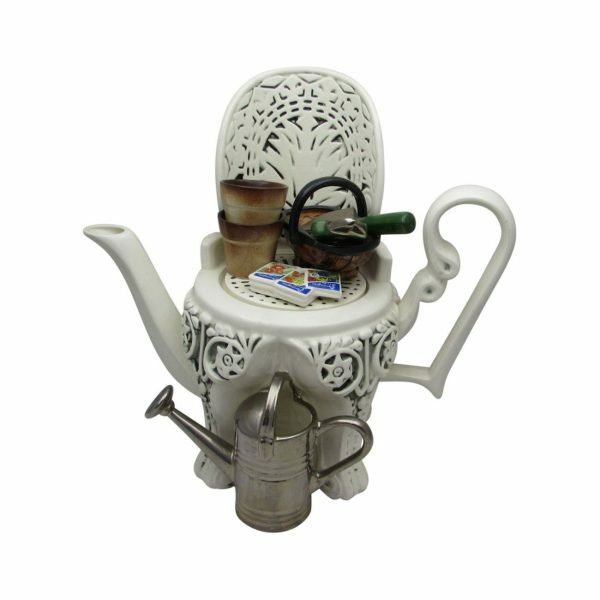 And a watering can at the side. Pre-owned. It is in good condition. 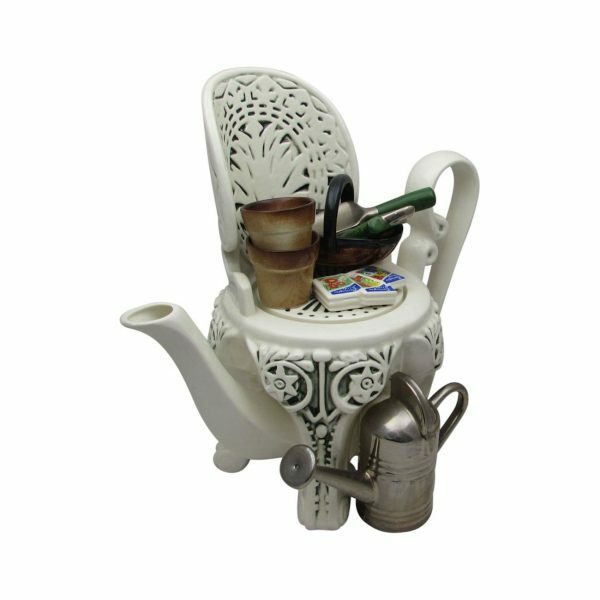 Our online price for the Garden Chair Teapot is £99.95. Richard Parrington, well known for his unusual and different designed tea pots.